Justice Katju’s polemic against the corruption existing in the Judiciary and the undesired political pressure continues. In an interview to Newslaundry, he reveals another instance of political pressure on the Judiciary and the corruption plaguing the system. He now discloses the reaction of the collegium member Justice Ruma Pal after Justice Ashok Kumar was given an extension despite of the collegium’s letter to the Government in view of the IB report and letter from the Chief Justice of Madras High Court, Justice Katju. When asked about other such instances, Justice Katju was ready with another such confrontation relating to present Punjab and Haryana High Court Judge Kannan. He was earlier a lawyer in Madras High Court and was recommended for Judgeship by Justice A.P. Shah. He then explained that the point is that when a Tamilian lawyer is appointed Judge of Madras High Court why have signalled him out and sent him to Punjab high court? Is it not another instance of succumbing to political pressure because again UPA Government was in power? This Tamil Nadu party (DMK) who was in alliance with Congress put pressure on Chief Justice of India and he again succumbed to pressure and said all right we would appoint him but we would send him to Punjab High Court. Again an improper compromise. Read another revelation about Justice Balakrishnan being adamant on Elevating P.D. Dinakaran and Justice Kapadia being informed by Justice Katju. He then went on to give another instance of corruption in the Judiciary where he spoke about a Calcutta High Court Judge who was transferred to Allahabad High Court where he became the senior most Judge. However, there were many complaints against him being made the Chief Justice. According to him, after having such cogent proof of corruption, Justice Kapadia should’ve asked for the Judge’s resignation or initiated an impeachment motion against him in the Parliament because that is what he would’ve done if he was in his position. However, nothing of this sort happened. The Judge was never made the Chief Justice or brought to the Supreme Court. He also indicated towards involvement of other people working hand in hand with corrupt Judges, some intermediary like a lawyer who is your man of confidence. Hence, transferring of Judges is preferred in such situations. Justice Katju also responded to questions raised over the timing of the revelations. He stated, “People don’t understand that there is certain constrain on a judge. He can’t go into the public domain, he can’t go to the press, can’t get involved in controversy’s. So for 6 and half years I kept silent till my retirement .In 6 and a half years I have also forgotten about this case because so many things are going on in my life…. How I was reminded about it was that on my Facebook page couples of weeks earlier some Tamilians asked me to post my experience as Chief Justice of madras High Court. Then I started writing some of my experiences and then this occurred to me then I posted it on Facebook, it’s as simple as that. Read jurists reaction to the revelations here. Read more news about Justice Katju here. 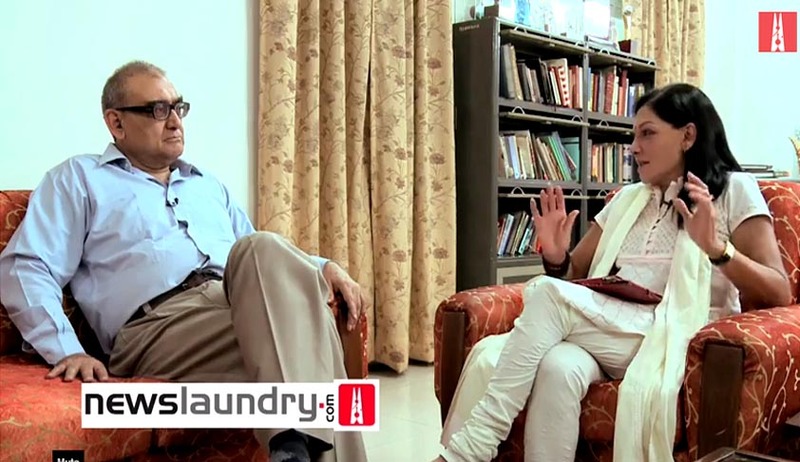 Read Justice Katju’s accusations against 3 former CJIs for protecting a corrupt Judge. Also read his six questions to Justice Lahoti.